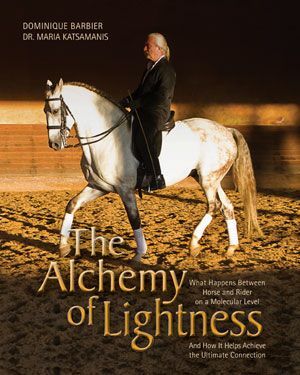 Yesterday TSB officially released THE COMPASSIONATE EQUESTRIAN by renowned veterinarian Dr. Allen Schoen—author of Love, Miracles, and Animal Healing and Kindred Spirits—and horse trainer Susan Gordon. 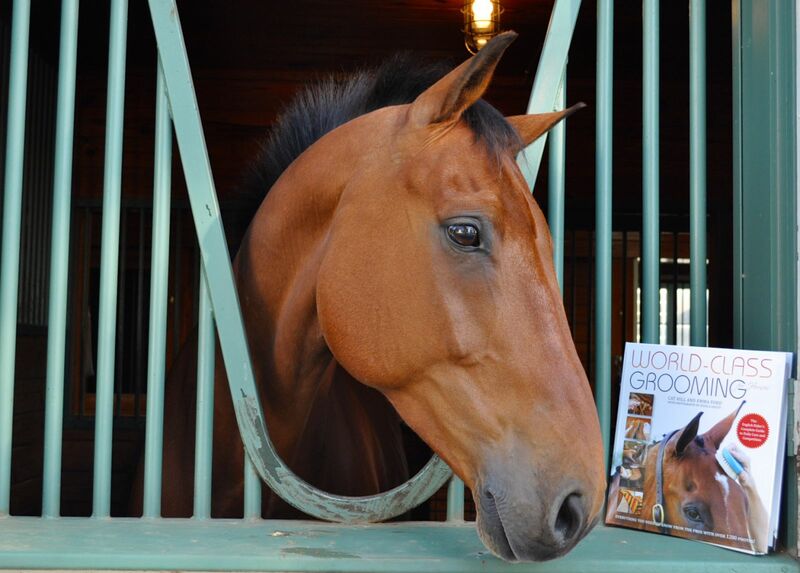 Already the book has been heralded as “ahead of its time,” “ground-breaking,” and “paradigm-shifting.” Dr. Schoen and Gordon believe that a community of compassionate equestrians can positively influence society on many levels, and in THE COMPASSIONATE EQUESTRIAN they explore the simple changes any horseperson can make that can ultimately have a vast impact, not only on the state of the horse industry, but on the world as a whole. 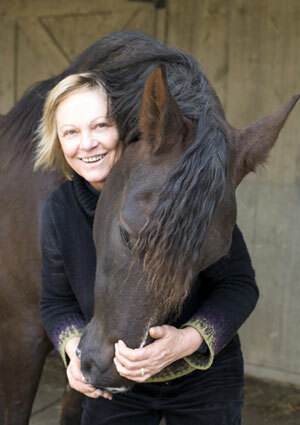 This week, we caught up with Susan Gordon and asked her a little about what led her to write THE COMPASSIONATE EQUESTRIAN with Dr. Schoen. TSB author Susan Gordon, surrounded by puppies. TSB: You grew up an animal lover. When and how did you first discover you had a special bond with animals? SG: My mom encouraged pets in the home, whereas Dad was a little more reluctant…Mom won out, and from as early an age as I can remember we had an eclectic menagerie of all kinds of animals. Our Border Collie, Duffy, had puppies when I was about three years old, and my favorite photos and memories are with that dog and her pups. I was literally “swarmed” by Border Collie puppies! At the same time, I loved my cat, Smoky, as well. I also had a pet Bantam rooster when I was six. Dad had won him at a business conference and he became one of my closest companions. He traveled in the car with us and slept by my bedside. As soon as I discovered pony rides in the city park, I was hooked on horses too. Mom seemed to notice that I had a special bond with animals from the time I was a toddler, and often referred to me as “different”—in a most affectionate way, of course. TSB: Your passion for animals in general translated into a love of horses. 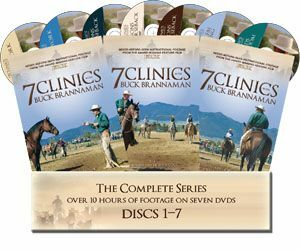 When did you know you wanted to be a professional horse trainer when you “grew up”? SG: I got my first horse when I was 12 years old. She was used as a packhorse and did some ranch work, so she wasn’t exactly show-ring material. I had friends who rode jumpers and entered competitions but realized my own horse wasn’t going to be anything like theirs. 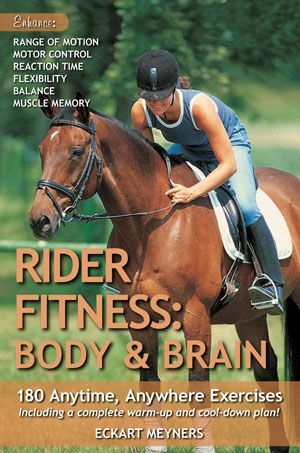 I began reading horse books and magazines, like the Farnam series on training and Horse & Rider magazine. My first inclination was to be a zoologist, as I loved science and my microscope. Unfortunately, back in the 1970s, girls weren’t encouraged to gravitate toward careers in science, and there wasn’t much guidance in the school system to mete out my desires enough to translate them into a concrete program of study. We also moved a lot due to Dad’s career with an oil company. By the time I reached high school, my grades slipped from straight-As to Bs and Cs, and I realized I wouldn’t have enough credits to attend university. Looking back, it would have only taken one good guidance counselor or tutor to resolve the problem. But I turned my focus to horse training instead of a degree program. I had my Appaloosa filly at a well-known Quarter Horse show barn and eventually, at the tender age of 17, became president of their on-site riding club. 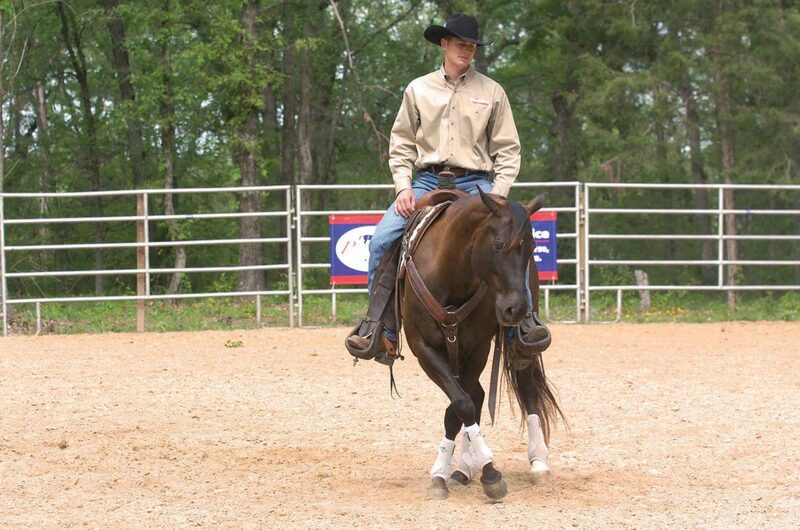 I was hired to ride and show other people’s horses and really connected with the world of professional training and showing at that time. Then Spruce Meadows started coming to our schooling shows, and I was completely mesmerized by the gigantic Hanoverian jumpers that floated around our indoor courses. By Grade 12, I dropped my dreams of becoming a zoologist and dove into a job in advertising to support boarding my horses at the stunning, now-famous show jumping venue. Still riding as a junior at the time, I knew I was far too young to embark on a full-time horse-training career, but that became my primary focus while I worked my way up to professional-quality riding and training. 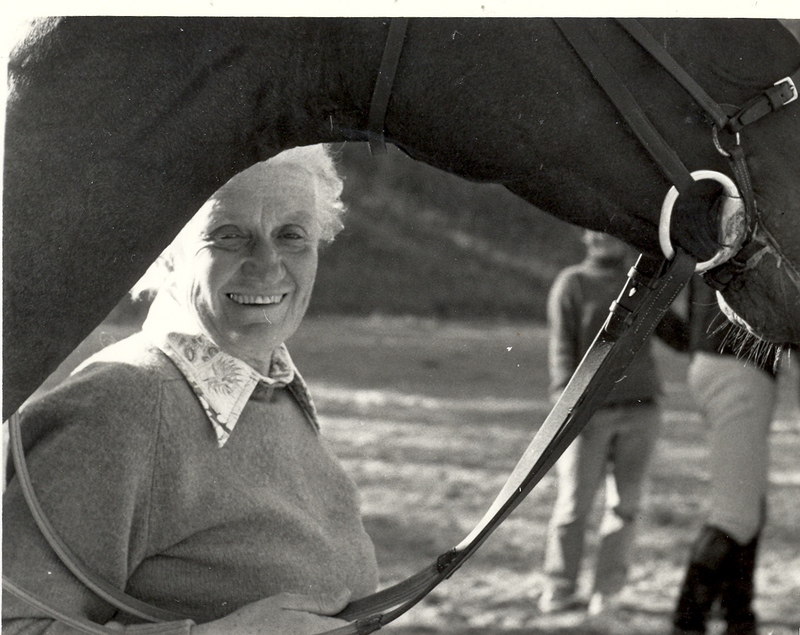 Susan with her Appaloosa at Spruce Meadows in the 1970s. 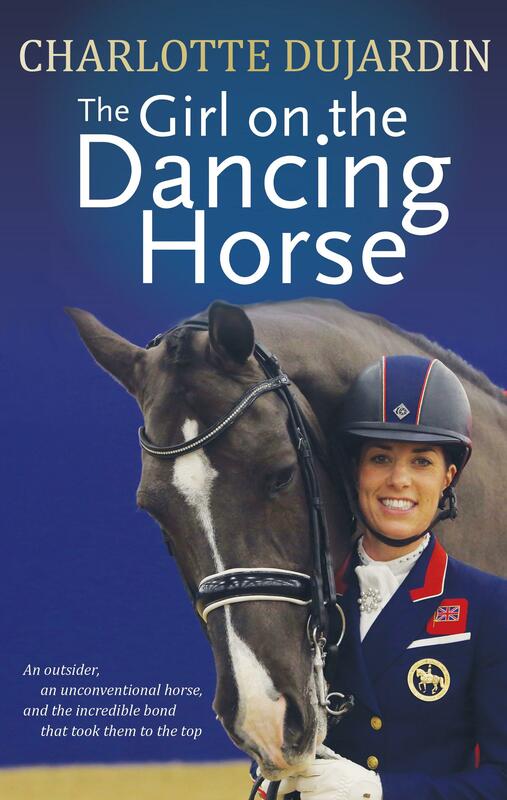 Q: You spent many years transitioning ex-racehorses from life on the track to life as a riding horse. 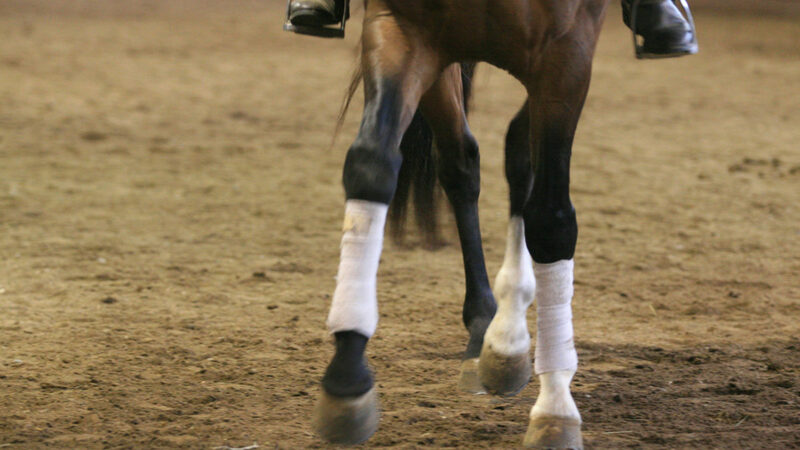 What did you find most challenging about working with OTTBs? Most rewarding? 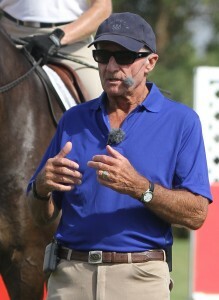 SG: I had married the assistant trainer at Spruce Meadows, who was an eventing trainer, and he had a Thoroughbred. The bay gelding was exceptionally well schooled, and I loved the “power-up” feel he gave me over a fence. My sister-in-law trained racehorses and used basic dressage schooling to help them run optimally on the track, so I got a lot of advice from her as well on how to handle them. My first OTTB project was a very touchy chestnut mare, Rol Eden’s Alee (Ali) that had been used as a working cow horse, somewhat unsuccessfully, and the cowboys had given up on her. She was so hot she would bounce up and down, switching leads every other step, stiff as a board, and in a perpetual state of stress. My husband also gave up on her after we took her over, as she just couldn’t slow down. She probably went through a grid (series of jumps) faster than any other horse I’ve ever seen! Ali was really the catalyst that finally propelled me into a full-time professional career. We got along great, and I won almost every jumper class I entered on her. Needless to say, very fast jump-offs with tight turns became our forte! Ali taught me to be 100 percent focused on my horse, which is a skill I brought to every other OTTB and other horses since that time. If I twitched a muscle, or turned my head, or even took in a breath suddenly, she would react. 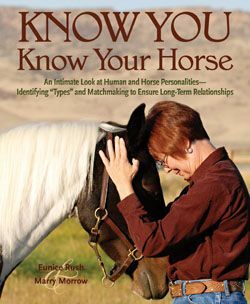 From that horse onward, I found that every OTTB had his own special quirks and needs, so each one was a learning experience. I love those horses! They really made me into the kind of rider that could mount up, figure out a horse, and get him to soften, go forward, and jump around a schooling arena or show course in a matter of minutes. 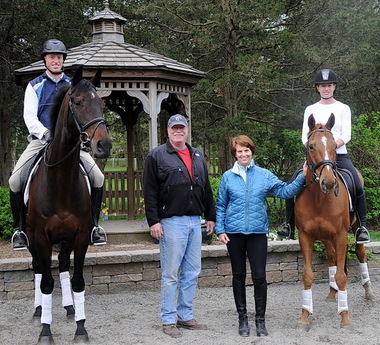 I also had the good fortune of being around other great riders who rode OTTBs with wonderful style and finesse. That helped a lot. 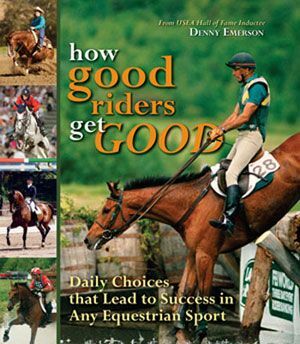 TSB: In your new book THE COMPASSIONATE EQUESTRIAN, co-written with Dr. Allen Schoen, you mention eventually becoming disillusioned with the world of professional training and competing. Can you describe some of the reasons you felt you had to step away from the industry? SG: That is a relatively long list, but reason Number One was probably because of the many horses that came through our barn that could not pass a pre-purchase veterinary exam. 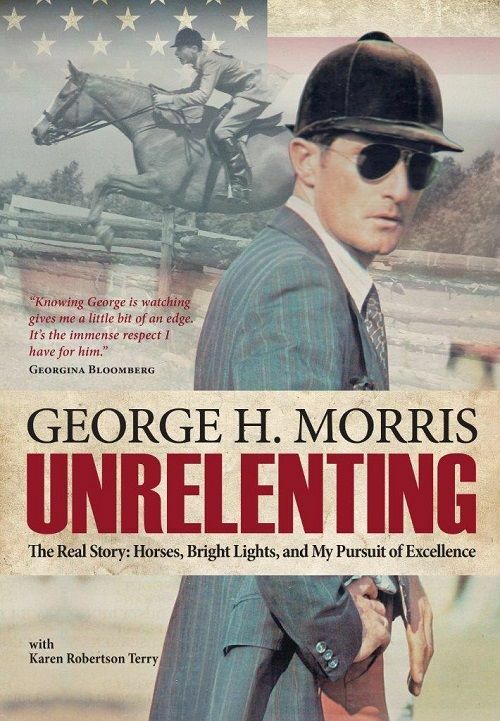 Young, old, OTTB, Warmblood…it didn’t matter. There were so many issues it was becoming ridiculous. I watched client after client try to find a nice horse for themselves, only to find there was something that would “kill” the sale. It was very disheartening. 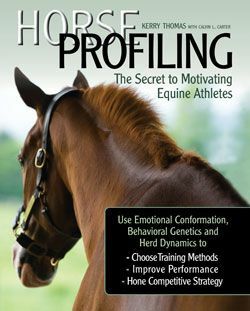 People would bring horses to the sales barn and not disclose the horse’s full history,or not realize that the horse’s “behavior” problems were actually related to pain. Sometimes the pain was primary, but often secondary issues had cropped up long after initial traumas, or they would be inherent, and therefore progressive. Then, once we moved further into the age of computers, internet, and cellphones, everybody seemed to be dashing around in a rush, too busy and too distracted to focus on their horses in the way that is most conducive to their well-being. 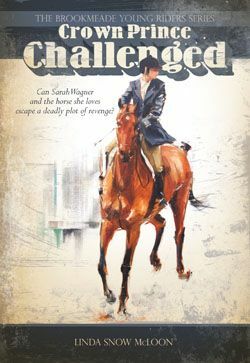 Even living in a tiny town, known for its more New-Agey, spiritual population, the day I noticed teenagers texting each other from one barn to the other only 100 feet away, I knew that life had changed dramatically, and in a very short period of time, for all of us, including the horses. 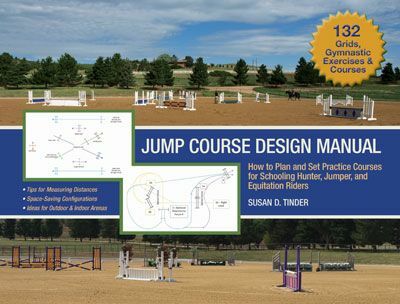 It became very difficult to get riders to spend enough time working on the aspects of horsemanship that would be most conducive to their training progress, and that of their horses. By 2009, I decided to retire from full-time training and turned my attention to figuring out what I would need to do to try to help bring some balance back into the equine industry, primarily for the sake of equine welfare. Apparently a lot of other “old-timers” were seeing the same issues as there has since been a big push by regulating bodies to improve on welfare policies. TSB: In THE COMPASSIONATE EQUESTRIAN, you share the story of Willie, a down-on-his-luck Hanoverian that brought you back to horses after some time away. If you could pass along one message that you learned from Willie to others, what would it be? 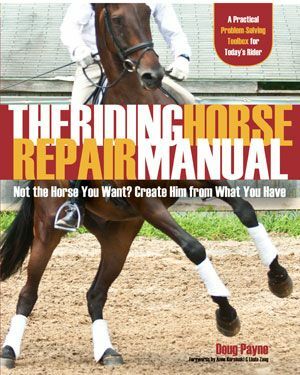 SG: In the book we talk about conceiving of a Life Cycle Management Policy for every horse, which I believe could effectively help keep many more horses from ending up in the dire situation in which Willie found himself. 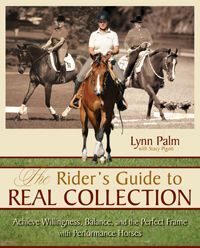 It’s a new concept for horse owners, but hopefully after reading THE COMPASSIONATE EQUESTRIAN and understanding that Willie represents thousands of horses in similar scenarios, and some much worse, we can enact new policies that will allow horses to reach the conclusion of their lives with respect and dignity. TSB: THE COMPASSIONATE EQUESTRIAN provides 25 Principles intended to help people become more thoughtful, patient, kind, and compassionate in their dealings not only with horses, but with the riders, trainers, grooms, veterinarians, farriers, and others we come into contact with each day. What do you and Dr. Schoen hope will be the lasting effect of the 25 Principles and the ideas you describe in your book? SG: I would love it if people could walk into their barns knowing that it is indeed a sanctuary of peace, understanding and cooperation. People want to have a good experience in a place that houses their beloved horses, and they don’t want to be mistreated by other people they encounter at the facility. 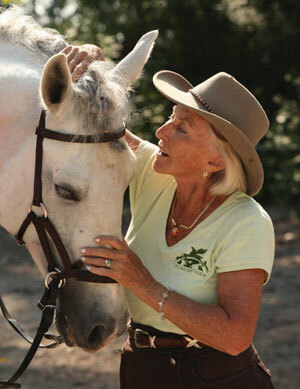 Many horse owners work long hours at other jobs or have stressful lives outside of the barns. If everyone could take a few deep breaths and spend some quiet time with themselves before entering the barn, we can hopefully begin the kind of paradigm shift that will encourage people to spend more time with their horses, and also bring up a new generation of horse lovers who are compassionate from the get-go, that will take “compassionate horse-energy” back out into the world for all beings. There are many factors that go into creating a cooperative facility, and Dr. Schoen and I both decided that compassion would be at the foundation of those directives. 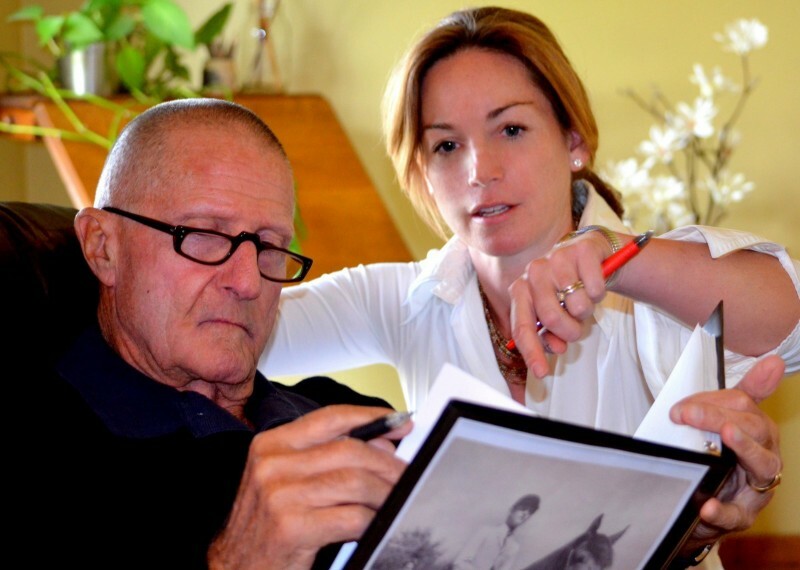 Susan Gordon and Dr. Allen Schoen, coauthors of THE COMPASSIONATE EQUESTRIAN. SG: It was on one of the little Shetlands in Vancouver’s famous Stanley Park, circa 1964. They went round and round on the carousel-like wheel they were attached to. 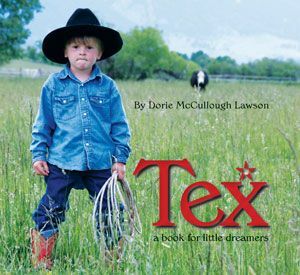 I can still hear the tiny western saddle creaking and recall looking down at a mass of fuzzy blonde mane below my gaze. I didn’t want to get off. SG: I was mortified. My barely-broke Appaloosa filly was always a little tricky to mount, but unfortunately, this particular day was the one and only day my Grandma came to watch me ride. 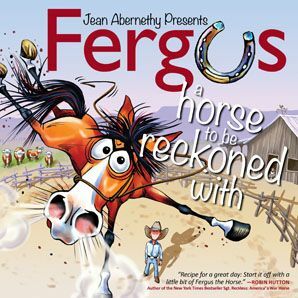 I put a foot in the stirrup, and as I was swinging my leg across the Western saddle, Missy blew up. I landed hard on my back and was too frightened to attempt a remount. I had to swallow my pride and put one of the barn’s trainers on Missy who could ride out a bucking horse. I actually kept her until we had a number of shows under our belt, and she was safe for others to ride. SG: Somebody with a genuine sense of humor. SG: Interest. My best horses have been more interested in people than in what other horses are doing. They watch you intently with bright eyes and seem to want to be with you. And it’s not just food-related! SG: Vaulting. It is so pretty to watch, although requires gymnastic training, so I’d have to do a pared-down version and maybe just draw on my ballroom dance background. I’m not that flexible! SG: Now that I’m “older” I want a pony! Or, close to a pony. My choice would be a Haflinger or other stocky, but small breed, known for its soundness and good temperament. 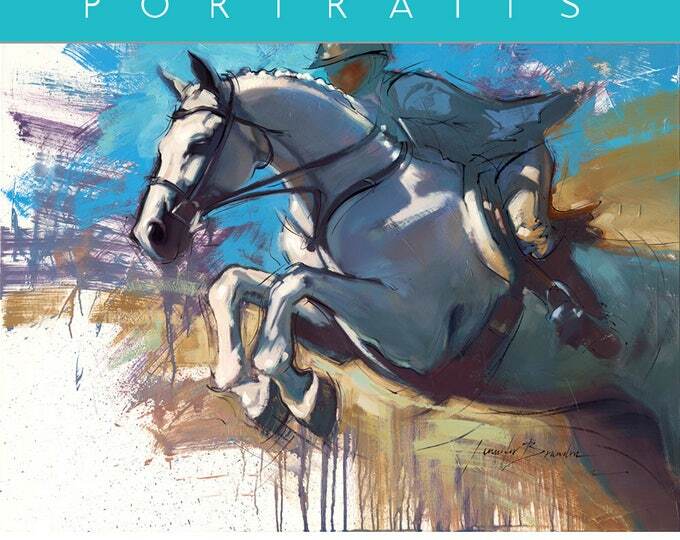 As for a book, well, I might be biased now, but I can’t help but enjoy reading my own book, THE COMPASSIONATE EQUESTRIAN. Maybe that’s a good thing?! The stories help bring back many happy memories, and I think if you’re all alone, that’s a pleasant way to stay sane. SG: If you want to accomplish something, do it. See it, be specific, and take action.